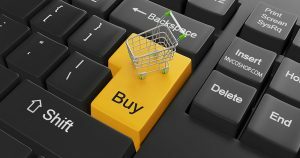 Here are some tips for a successful e-commerce business. Starting a business is hard — and starting an e-commerce one can be even harder. It can be hard to get your site noticed on the Internet. Websites aren’t just stumbled upon by visitors, unlike most brick and mortar stores. So here are some tips for a successful e-commerce business, that will help your website gain visitors. SEO, or search engine optimization, is very important for a successful e-commerce business. That’s why we blog about it all the time. The better your SEO practices are, the more easily users will find your site. Since most Internet users find websites by searching for keywords on Google and other search engines, SEO will help your website rank higher on search results. Knowing who you are trying to sell your product to will make designing and marketing your site much easier. Not only that, but figuring out where your customers are will help as well. E-mail marketing campaigns and advertisements will definitely help your business. But another, cheaper way to connect with visitors is simply by writing good content. Social media is a great way to get your brand noticed, and interact with potential customers. To have a successful e-commerce business, you need to listen to customers. Whether it’s their praise or their complaints, it should all be noted. To do this, make it easy for customers to leave reviews (if applicable) and include a contact page as well. This way, customers can call or email you with questions or suggestions. When building your e-commerce site, it’s important to pick the right platform for your business. Do you want to sell on Amazon or Etsy? Or do you want your own individual site? These are things to consider. If you decide you want your own website, choosing a platform, such as Magento, will help you effectively manage your online store. With these tips for a successful e-commerce business, you’ll gain customers much quicker. And the faster you gain a following, the easier it will be to focus on developing your business. « 3 UI Tips for Website Design	» What is the language C?